a few days off now in-between projects . bit of Monday morning practice . 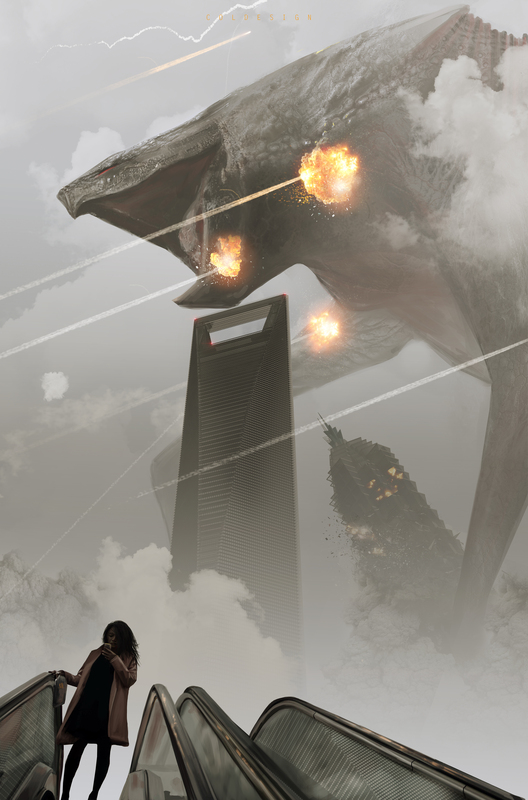 I like the idea that shes reading about this giant monster on her phone , that’s wreaking her city.